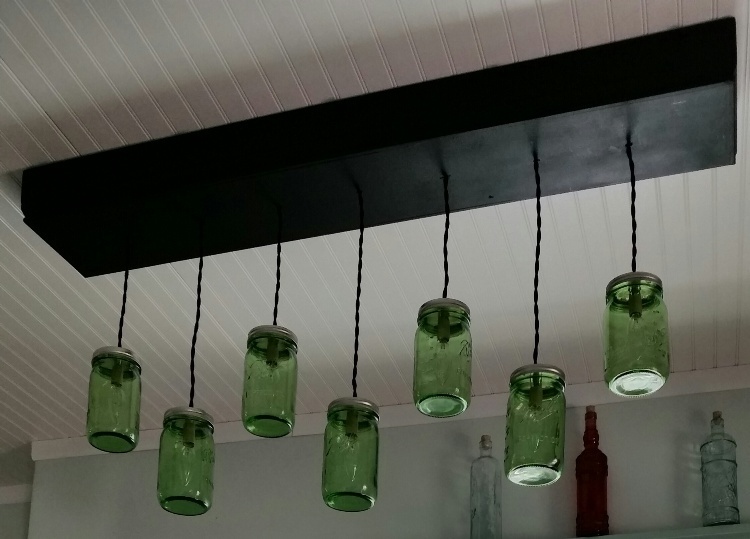 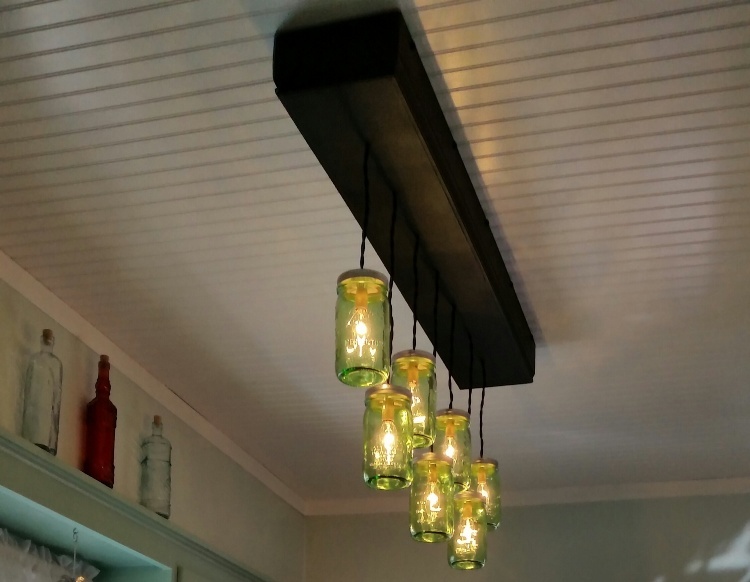 This all-wood box ceiling light is made with mason jars hanging by antique twisted wire. 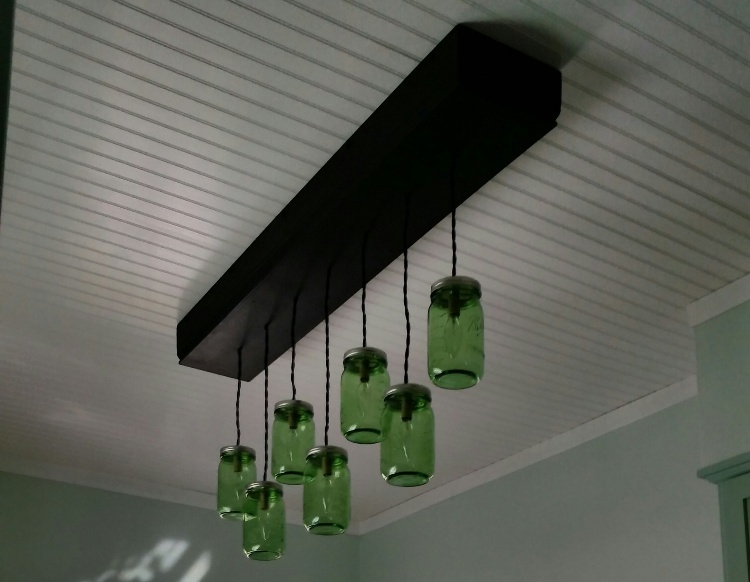 Box dimensions up to 50″ in length, the number of jars and hanging height are all custom-made to your specifications. 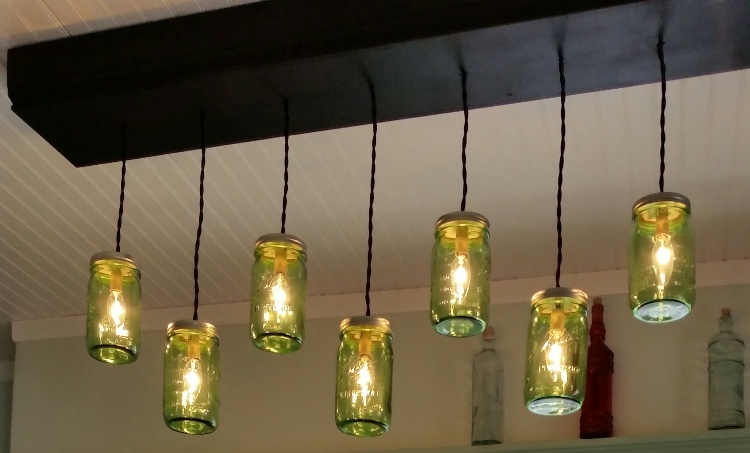 It can be made with 1 light all the way up to 7 lights as seen in the photo, also can use your choice of color quart-size mason jars: clear, green, purple.